At the tender age of seven, Jess Riley's parents were ripped out of her life by the Tear, a ripple of white light in the sky which randomly transports people from Earth to alternate realities and distant planets once a year. On the night the Tear first appeared, the Watchers, a mysterious group of men possessing supernatural powers, made their presence known to the leaders of the world, earning their complete trust to deal with the turmoil the Tear caused. On the night Anna was born, she was promptly sent away from the down-world to live in the cloud city of Cirrus. That very same night her future was decided for her when she became betrothed to Crown Prince Augustus Amador. For 21 years, she has lived as Lady Anna. Although Anna's destiny seemed laid out for her, fate intervenes to reveal the true path she was always meant to take. With the unexpected arrival of Malcolm Devereaux into her world, Anna knows without a shadow of a doubt that she has finally been reunited with the missing piece of her soul. Take a journey back in time, to a place where Emma's lineage begins and where answers lie in unraveling secrets of the past. This is a story of forbidden love, an unbreakable bond, and the start of a dark adventure that will fill your heart with many emotions. Tucked away at an upscale, private boarding school in Brindle Hollow, Washington, 17-year-old Eden East comes face to face with a hideous creature on her walk back to her dorm. 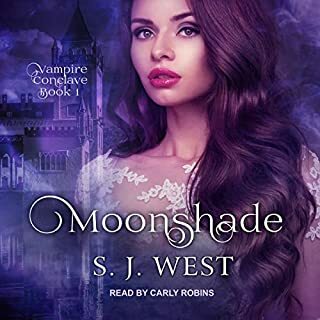 Shaken to her core, she's left questioning the world around her, and soon finds herself entering a friendship with a hot, new student named Alexander. Little does she know, Alex is a Guardian Angel, sent from Midway to protect her from those dangerous creatures - known as Darkling - lurking in the forest outside Brindle Hall. An Enchanting yet thrilling Prequel!!! Sheltered, and unable to escape her bloodline, Serena St. Michael has spent the last two years training at the Royal Protector Academy. Struggling with a dark past, Tristan Gallagher's current assignment is to protect a lifetime of secrets. One chance encounter will change everything. Serena must decide if she will follow her heart, forsaking all she's ever known and risking a future worse than non-existence. Tristan will break every rule to save Serena, even if he can't keep her. In their world of darkness, one love will ignite an ancient war. Disclaimer: This duology is part of my Watcher series of books. You need to have either listened to my Watchers Trilogy or Watcher Chronicles. Appropriate for ages 13+. Lilly and Brand's daughter, Caylin, saw her soul mate for the first time when she was 14 years old. After a simple exchange of smiles, she knew her life was set on a path which would lead Aiden back into her world forever. 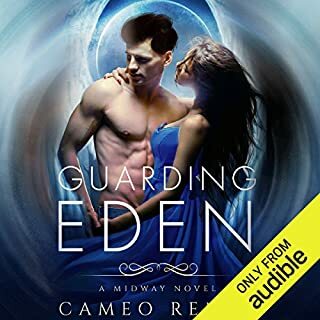 For three long years, Aiden keeps his distance from Caylin out of respect for her parents' wishes. 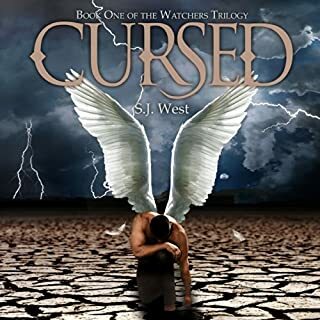 Being a Watcher who once gave into the dark side of his curse, Aiden uses the time to come to terms with his own demons and strives to become a man worthy enough for the granddaughter of an archangel. Caylin learns that one of the princes of Hell, Baal, is out to kill her. 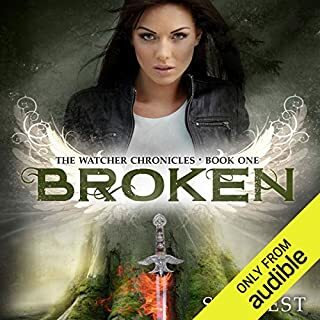 With the help of her family and Aiden, she discovers why he wants her dead and what she needs to do to stop him and the other princes from destroying not only her future, but the future of the world. ©2013 S. J. 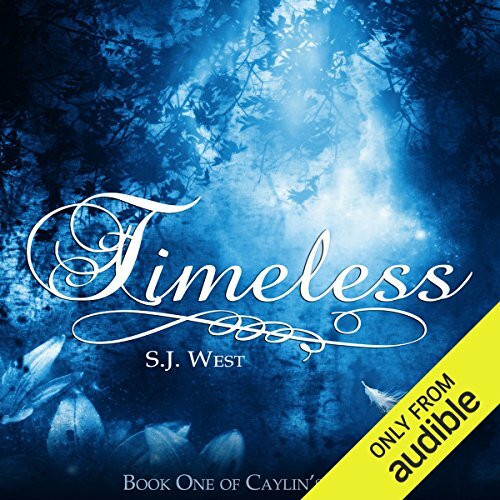 West (P)2017 Audible, Inc.
Caylin's story is good, but a bit of a disappointment after the Watcher Chronicles. The story/universe seems to become so much more biblical and predictable, not the uniqueness of the story about the tear in reality from the Watcher Chronicles. 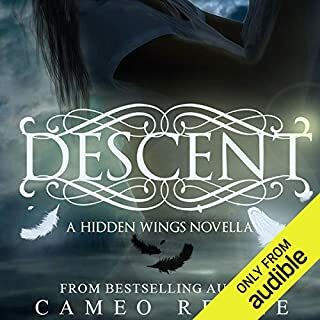 Further, while I appreciate the personal growth demonstrated by Caylin's pre-destined love interest and soul mate, Aiden, this book doesn't focus on that but on Caylin, who seems rather unchanged from the beginning of this book to the end of the next. I prefer a little more personal / character development. I'm glad I didn't read these books first, or I would have missed out on the Watcher Chronicles. I love how this story is told. Strong female characters with powerful men beside them. They're better because not to.o many Authors want. to write this genre. I have loved the watcher books since I picked up the first book in the first trilogy. it's a fun book to read. I've never read a book based on people in the Bible. so it makes it interesting fascinating to read. dang like this cute short story I do hope we learn about the girl that will stop the prince's of hell.